Thanks for visiting my Holistic Massage website. I am a professional massage therapist operating out of my home in the Charing Cross area of Glasgow. Holistic massage is a practice that treats the person as a whole. The massage can be relaxing or energising. It is a person-centred activity. The treatment’s guiding principles are quality of touch, sensitivity and awareness. I will tailor your massage to provide a calming and relaxing experience to help reduce stress. Based on Swedish massage using a variety of stroking, kneading, light pressure and flowing movements over your whole body. Working in a professional yet relaxed environment, I use natural base oils (grapeseed or almond oil) and blend aromatherapy oils to suit your mood and desired state of relaxation. I use my hands, palms, thumbs and fingertips to deliver a tailored massage to suit your needs. My treatment will help in relieving any built up tension in your body by aiding blood flow circulation which carries more oxygen to specific muscles and decreasing muscle toxins. Increased flexibility may also help you feel relaxed and refreshed after a massage treatment. I work mostly with female clients, men by referral only. Please contact me for more information or book a massage appointment online. Pregnancy is a time for looking after your body and your growing baby. Please contact me to discuss availability and book an appointment. Or call 0141 255 0309. If you’d like to talk through your requirements with me, you can call 0141 255 0309. 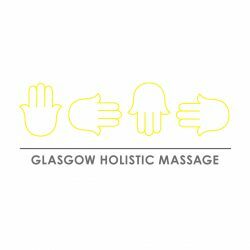 You can also Follow me on Twitter: @glasgowholistic and find the Glasgow Holistic Massage page on Facebook.